Complex photonic devices require many electrical connections. A quick way to save a lot of connections is to use a common ground wire for several electro-optic devices (e.g. heaters, or photodiodes). For N devices, this saves N – 1 connections, which can translate to significant reductions in wire-bonding or multi-point probe size, and ultimately to savings in time and money. Two driving schemes for devices using a common ground. Crosstalk is a well-known problem with common-ground connections, even for DC signals. It arises from small resistances between different parts of the on- and off-chip ground network. 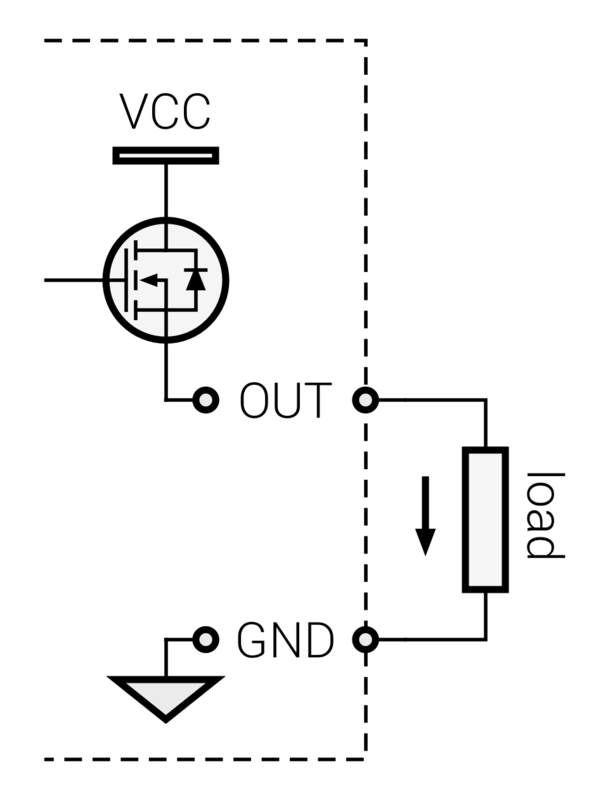 In its simplest form, this is a resistance between the on-chip common ground and the off-chip true ground, labeled RGND in the above diagram. As the input voltages (V0..3) change, the current flowing through RGND also changes, and so the voltage of the on-chip common ground changes depending on the specific configuration of the input voltages. In this way, the voltage dropped across any given load resistor (R0..3) depends on all the other voltages—the definition of crosstalk. This problem manifests itself most strongly when the load resistances are small, though is always present. To counter this problem, all Qontrol drivers have the ability to drive a specified current through each output. Such a setup is shown on the right side of the above diagram. Since the current flowing though each load is chosen by us (I0..3) we directly control the power dissipated in each load, independent of how much current flows through RGND. Caution: When driving in current mode, be sure to set a maximum voltage for each port. This will protect your device in the event of a larger-than-expected load resistance, or an open circuit. The push-type, class-B, or open-emitter, amplifier output stage offers two main benefits: it can output 0 V when powered from a single supply, and it can drive very large currents. This stage features in both our Qontrol 8 and Qontrol 16 drivers, which use MOSFET output elements. 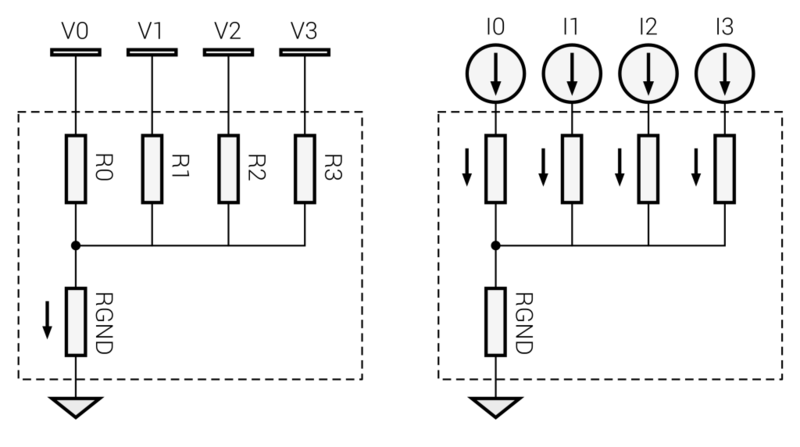 The basic structure of a push-type output stage is shown. One thing to notice about this circuit is that current may only flow out of the output port—the output can only source or push current, but cannot sink or pull it. So, only loads requiring a positive voltage can be driven by a push-type output. A correctly connected resistive load (e.g. 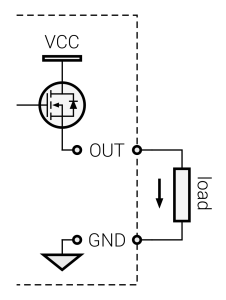 a heater) is shown in the diagram, with the flow of current indicated by an arrow. One side benefit of this circuit is that it’s completely safe to short one output to another (but not to ground, of course!). No current will flow. See you at BQIT 2019!